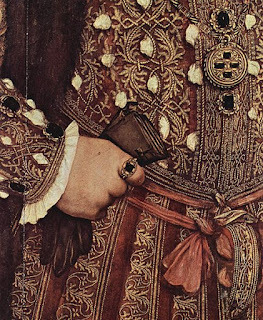 I always enjoy finding another novel about Henry VIII and Anne Boleyn. This one intrigued me because it was told from a different perspective, from the heirs of the Plantagenet line. 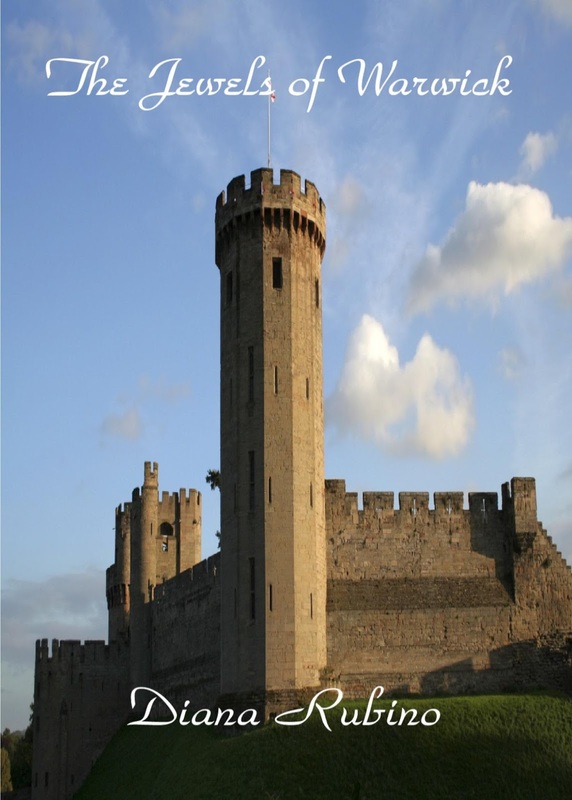 The Jewels of Warwick is an alternative history of the reign of Henry VIII, a different version of the tale in which Henry had a life-long companion, a mistress who was the true "wife"of his heart. The "jewels" in question are two sisters, the only living heirs of Richard III. At a young age, both are subjected to the trauma of seeing their father, Edward Plantagenet 17th Earl of Warwick, dragged away in front of them to his execution. His crime, of course, is his bloodline and his claim to the throne. Neither of the sisters can ever forget that bloodright claim to the crown, of course, but for Topaz, it's particularly stinging. She teaches her son to despise the Tudors for "stealing" the throne. As I was reading this, I flinched, for every word he spoke was treason, deadly if overheard by the wrong ears. Amethyst, on the other hand, falls in love with King Henry. Like most sociopaths, Henry could be extremely charming when he chose to be - but also incredibly cruel when thwarted in any way from getting what he wanted. Henry proves to be a difficult man to love as the years pass. In one scene, he literally froths at the mouth with rage as he signs a death warrant, consigning his own friends to die with the victim in order to make the story more convincing. At one point, he says to her, "I am troubled and need to speak with someone who I believe has guided me a great deal through my life. I need to rid myself of hauntings, memories, the specters of my dead wives." Amethyst serves not only as a lover to him, but a conscience, a sounding board, and a counselor, even when he chooses to ignore her advice. There's a trust there that builds between life-long partners. Though both of them married others, they are bound. Amethyst's loyal heart is torn between love for Henry and love for her headstrong sister, who is hell-bent on reclaiming the throne that is rightfully hers. She builds an army and marches on Henry's forces. This was another point where I cringed, wanting to shout at Topaz, "Think of your family! Remember what Henry did to Countess Pole!" Defeat is inevitable, of course, as is Henry's vicious revenge. Amethyst is put in the position many people during Henry's reign experienced: pleading for a loved one's life. 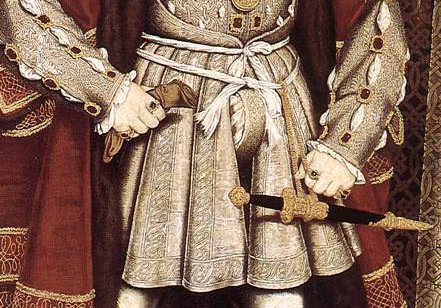 Henry's mercy was often in short supply, conditional, and apt to be rescinded at a moment's notice. As a fan of Anne Boleyn, I would have liked to have seen more of her in this novel, but this isn't the story of the six wives. It's the story of Amethyst and her struggle to survive and understand the man to whom she has pledged her heart and loyalty, though he's extremely difficult to love. With age, Henry grows more erratic, and it seems Amethyst often fears him as much as she loves him. It's an inherently unequal relationship, when one's lover can have you beheaded on a whim, and Amethyst knows that her sister is off at Warwick, planning treason. Henry's mercurial nature, I thought, was depicted quite well in this novel. With Amethyst, he's sometimes playful, tender, and generous, but his temper is uncertain at best. I thought for her, it was much like lying next to a tiger - only half-tame, and knowing its wild nature might assert itself at any moment. She loves him, but also fears him. It's unhealthy and unstable, but that was life in Henry's reign. 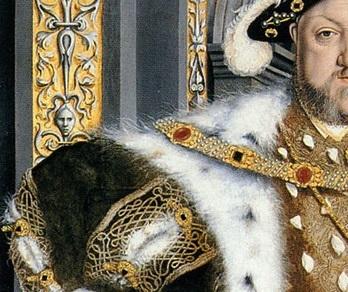 Conflicting loyalties, murder, betrayal, and sin... All just another day in the court of Henry VIII!